Whether you’re an experienced professional or a recent graduate, working with Visage Technologies could be the best next step in your career. Join our team and shape the future! Whether you’re an experienced professional or a recent graduate, working with Visage Technologies could be the best next step in your career. 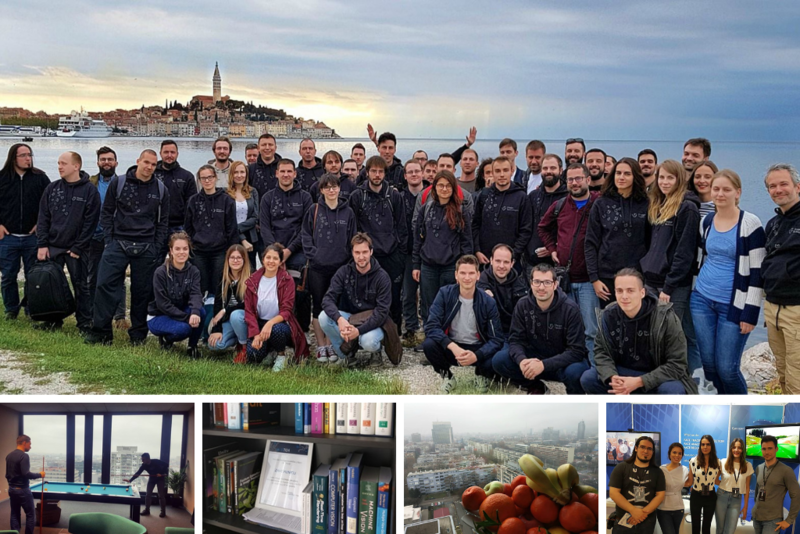 Join our fantastic team and get a chance to work with new technologies that are shaping the future. We believe that quality time outside the office makes our employees happier and more productive in the office. That’s why you can count on flexible working schedule, free weekends, no irrational and unrealistic startup hype, and a relaxed atmosphere in the office. The best thing you can invest in is yourself. As a part of our team, you get a chance to expand your knowledge through first-class mentorship and education, company library with a wide selection of books and magazines, relevant conferences around the world and, of course, work on interesting projects that really matter. We spend the majority of our day in the office, so it’s important to feel comfortable. Enjoy the best view of the city, beat your colleagues at pool or table tennis, amaze everyone with your piano skills, do good with our Do Good group, take part in our sport initiatives, and much more. Some of the additional benefits we offer are company mobile phones, yearly health checkups, company events, team buildings, fresh fruit, free hot beverages, gifts for newborn children, and employee stock options program. Didn’t find the position you were hoping for? Don’t worry – we’re growing fast, so we might have the right position for you soon. Connect with us on Facebook, LinkedIn, Twitter or Instagram and be the first to find out about the new vacancies.